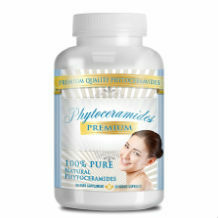 Phytoceramides by Pro-Bio Labs is one of the effective supplements for combating aging skin. It helps restore skin’s elasticity and bring back moisture, which in turn makes the skin more hydrated and looking supple and smooth. Skin, over time tends to sag, but this product will ensure that it gives you a face lift which you have been trying to achieve for years. 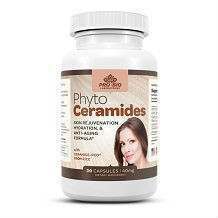 Made from the purest of ingredients, the Phytoceramides by Pro Bio Labs is free of gluten and it produces Ceramides that promote healthy skin. Ceramides are already in the body. But over time due to age, it decreases and that is why we get fine lines and wrinkles. Soon enough, one will be wrinkle free with the production of Ceramides and you shall be on the road of attaining beautiful, radiant skin. After all the good things said about this product, it is astonishing to find out that the manufacturer gives little or no information about the ingredients in the Phytoceramides. The only thing they emphasize on is that the product contains Ceramides which are plant derived. Once again, the manufacturer lets themselves down by not giving the recommended dosage of this product. All they provide is a thirty day supply in each bottle. Shouldn’t the consumer know what they are taking and isn’t it the manufacturer’s responsibility to make sure they reveal such a crucial detail? That is why it is best to consult your physician if you want to take this product, or any product for that matter. One let down after the other. There are no warning statements or side effects outlined for everyone to see about this product. The valued price is at nineteen dollars and ninety five cents per bottle, although they offer discounts for people who want to buy in bulk. Amazing! They want people to buy their product, but are not willing to back up their product. It just got from bad to worse. The manufacturer has no guarantee on the product. Actually, they pretty much have no information about anything. One good thing is that the product is gluten free, although there are no ingredients listed. Well, there you have it. That is obviously a clear indication that the product is not being sold at this time or their intentions are not pure. If you are not selling a product, then the price, together with the product should be taken off the market. Everything about this product was indeed vague; from dosage to side effects and lastly, the guarantee. Ingesting something that is not clarified or given approval by the FDA, is also cause for alarm. Buying a product that is for testing purposes is indeed dangerous and you would run the risk of ruining your health.